You can see the 2018 Toyota Corolla at the Portland International Auto Show, January 25-28 at the Oregon Convention Center. The Toyota Corolla is consistently one of the best-selling sedans in America. It competes directly with the Honda Civic, and is a lower-priced alternative to the top-selling mid-size Toyota Camry. Toyota's been making some version of the Corolla since 1966, and in those 52 years of production they've sold over 40 million of them. That makes the Corolla the best-selling vehicle of all time. The Corolla formula is simple and appealing: Create a nice car that's consistent with the needs and styles of economy car buyers. Toyota doesn't play any games with the Corolla. It just gets the job done, and that's why people buy it. But don't go thinking that the Corolla is a boring utility car that you won't like. If you like a small car with a sporty feel, the Corolla's got what you're looking for. To start with, you can get the Corolla in a sporty mid-grade SE trim with a 1.8-liter engine rated at 132 horsepower and 128 pound-feet of torque. That's enough to move the lightweight Corolla very nicely, especially if you get the 6-speed manual transmission. 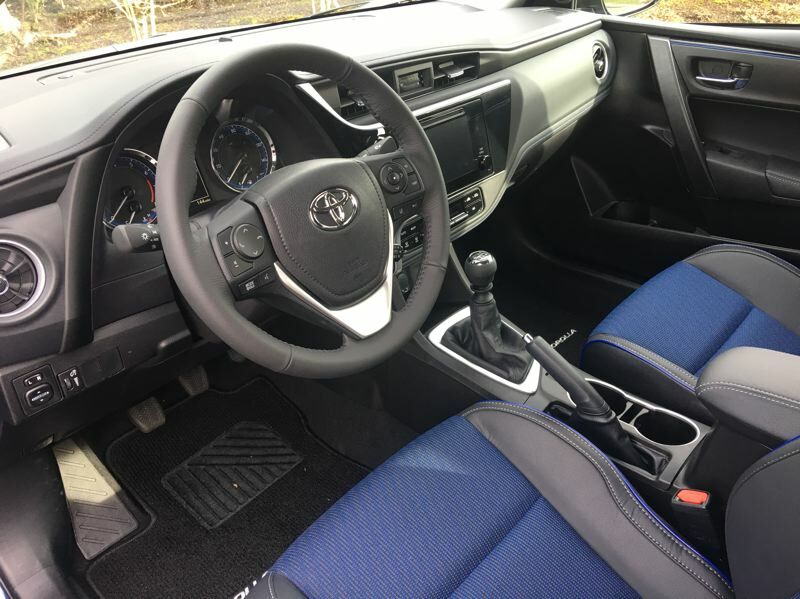 This gearbox has a sports car feel and while it doesn't exactly make the Corolla a performance car, it does make it an eager and peppy economy car. Add to that the 27 mpg in the city and 35 mpg on the highway, and you've got a car that's fun to drive and won't hit you with a big fuel bill. Similarly the steering and suspension are well-tuned to the Corolla and, once again, it's just generally fun to drive. In the SE trim, you'll get a 7-inch touchscreen display audio system with navigation, Bluetooth, and Toyota's Entune smartphone integration system. 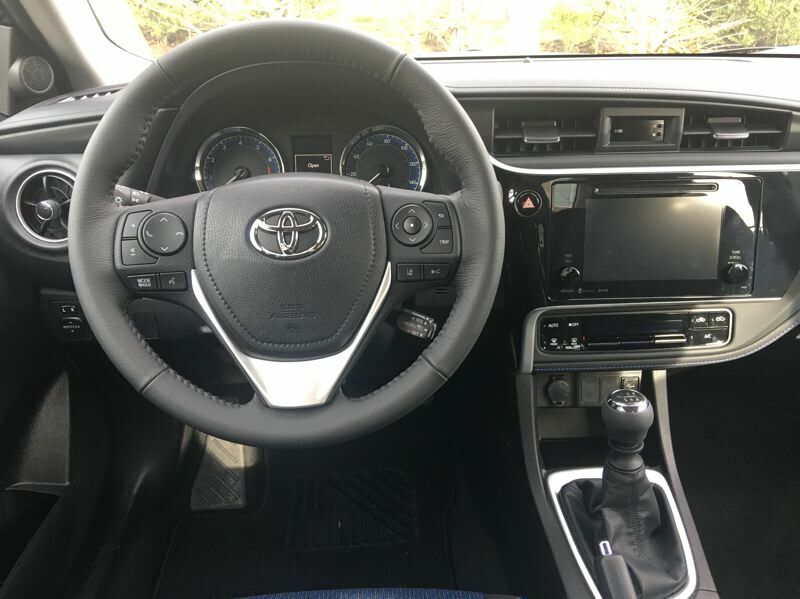 You'll also get a backup camera and other advanced Toyota Safety Sense features like adaptive cruise control, lane departure warning with steering assistance, a pre-collision system with pedestrian, and automatic high beams. The seats are trimmed with Softex cloth, and they look and feel much nicer than basic cloth. The steering wheel and shifter add to the sporty look of the interior, along with the 4.2-inch color driver information display. 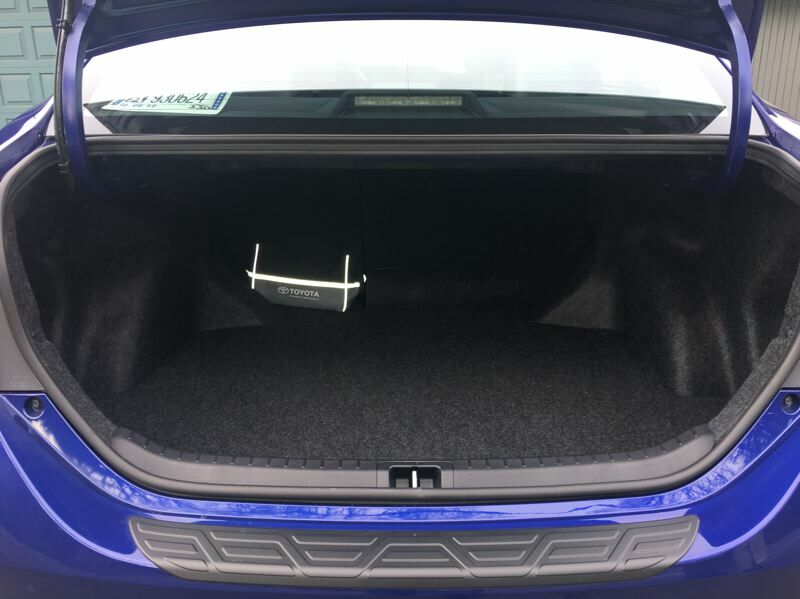 With the SE trim, you also get a nice power sunroof and 17-inch alloy wheels. The overall package of the 2018 Toyota Corolla SE is nicely put together, and you can get one for $22,610. The test car had a few extras like a performance air filter and exhaust setup, and a rear sway bar. I'd take all of those if you like a more performance-oriented car. You'll still bring it home under $24,000. That's an attractive bottom line on a car you're sure to love. 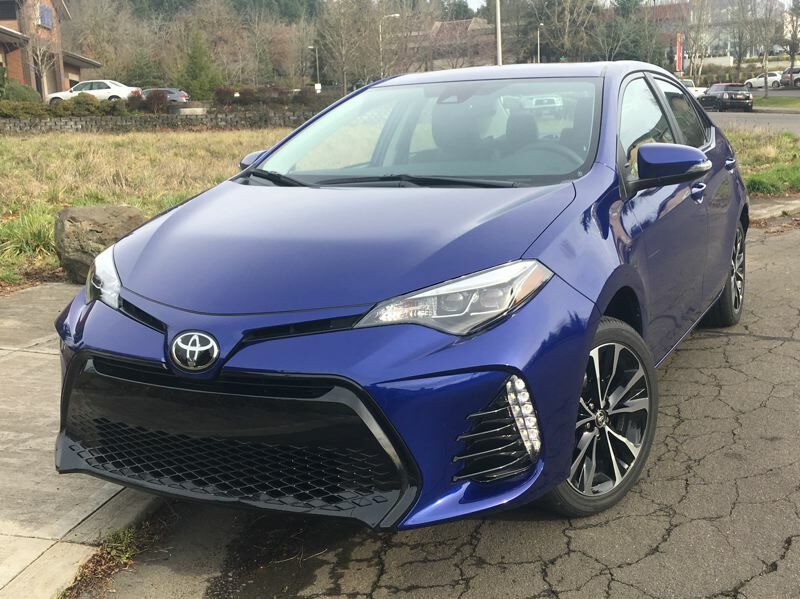 You can see the 2018 Toyota Corolla and its competitors at the Portland International Auto Show, January 25-28 at the Oregon Convention Center.